Amid the wreckage, Cork and Jenny discover an old trapper’s cabin where they find the body of a teenage girl. She wasn’t killed by the storm, however; she’d been bound and tortured before she died. Whimpering sounds coming from outside the cabin lead them to a tangle of branches toppled by the vicious winds. Underneath the debris, they find a baby boy, hungry and dehydrated, but still very much alive. Powerful forces intent on securing the child pursue them to the isolated Northwest Angle, where it’s impossible to tell who among the residents is in league with the devil. Cork understands that to save his family he must solve the puzzle of this mysterious child whom death follows like a shadow. 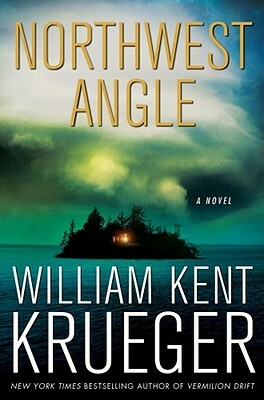 “Part adventure, part mystery, and all knockout thriller” (Booklist ), Northwest Angle is a dynamic addition to William Kent Krueger’s critically acclaimed, award-winning series.